I never used to be a fan of the extended play record. I thought, way back in the day (as the kids say), that when an artist or group released something that had three to six songs on it instead of eight to twelve, they were just being lazy. For quite a while you didn’t see very many EPs on record store shelves so perhaps—way back in the day—that was indeed the case. But in these days the music industry is a lot different; online stores and internet radio stations and DIY promotion strategies have created a business model in which there is much more emphasis on immediacy of product availability. The vast majority of recording artists don’t have the luxury of taking years to create an all-encompassing work that tells a story gradually and with great detail. In a time when the single is king, I’ve realized that the short-set album now has much more relevance. I’m growing as an individual and as a consumer here. How ‘bout that. 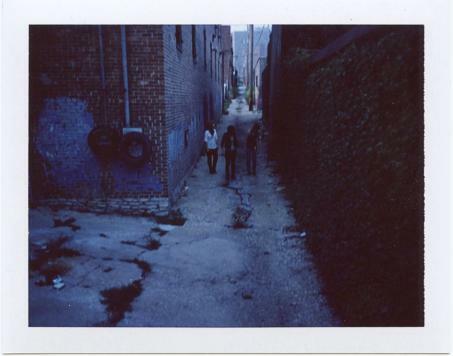 There are a couple ways in which the EP offers ideal packaging for an artist’s music, one of which is to give a relatively new band some quick exposure. 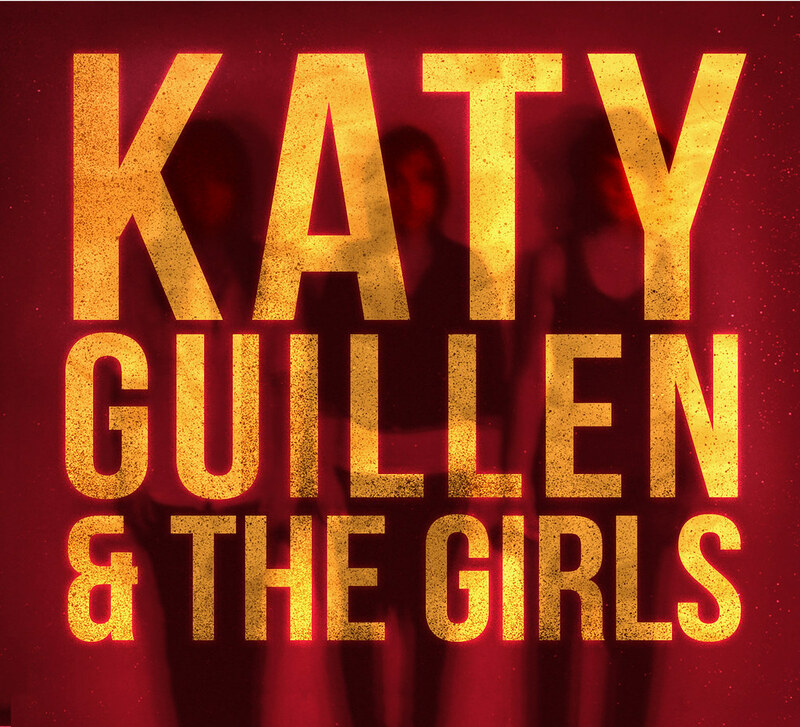 In the case of Katy Guillen and the Girls, their recently-released EP … and then there were three offers a trio of songs that showcases a trio of ladies who have firmly grasped the nuances of rock, blues, soul, and groove—and by “firmly grasped,” I mean they make it clear from the outset that they know their stuff. 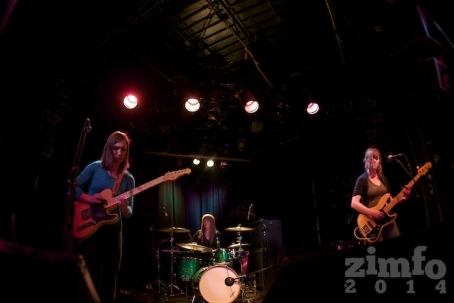 From the opening notes of “The Race”—a song that features Guillen’s sneering vocals and guitar work, Claire Adams’ rumbling, fat-bottom-bass foundation, and Stephanie Williams’ second-to-none percussive power and precision—you’d think you were hearing a band that had been together for a while… and in a sense, you’d be right. 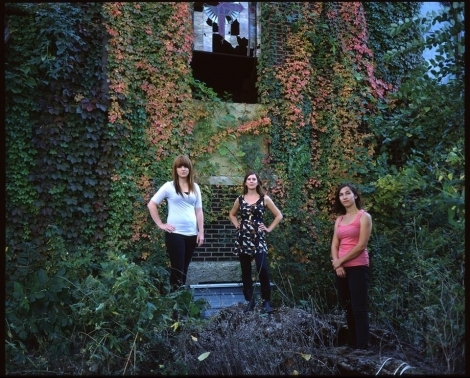 Katy Guillen and the Girls has been an entity for just more than a year, but the three have worked together in various forms and lineups and duos and trios for quite some time, and that familiarity helps to solidify their sound and give it the air of confidence that comes with having a history of working together. That cohesiveness carries over through the other two tracks on … and then there were three: “Quiver” alternates between a dance-worthy salsa and a cautious waltz as Guillen’s ode to insecurities and doubt (“What makes you quiver, what makes you so upset? What makes your heart pound, what makes you lose your head?”) leans heavily on the rhythm section, and Adams and Williams are more than up to the task. “Stalling On Dreams” closes out the EP with a paean to unrequited might-have-beens (“I’ve been ghost-stalking old neighborhoods, getting pulled back into the woods, just humming my own tune, it don’t do me no good.”) that segues into more of that bluesy swagger, letting the listener know that—even though our protagonist may have some unsure moments—you can bet that she’ll figure things out in the end, on her terms. 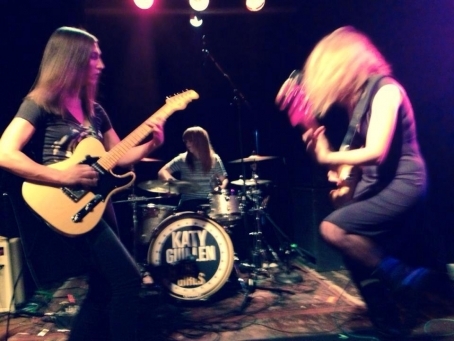 As mentioned earlier, Katy Guillen and the Girls hasn’t been around as a unit for very long, but that didn’t stop them from entering—and winning—the Kansas City Blues Challenge at Knuckleheads a few months ago. They’ll be off to Memphis in January for the International Blues Challenge, where they will rep the 816 as they go up against bands from Europe, Canada, Australia, and possibly Latin American and/or Asia. Regardless of who else shows up, this is a band that just might be making some sweet, sweet noise for quite some time. And if they should happen to win the challenge and go on to the bigger and better things that they and their music deserve, we can say we knew them when they released their first EP. Your next chance to see KG and the Girls will be back at Knuckleheads (in the Gospel Lounge) on Wednesday, October 30. The weekend after that, they’ll be heading down to Austin for a short tour. Head out to Knuckleheads next week and support them! Michael Byars did mention that there were a couple benefits of releasing an EP; he’ll tell us what the other one is in his next review. That’s called a tease, folks. Pretty damn sneaky, ain’t it?